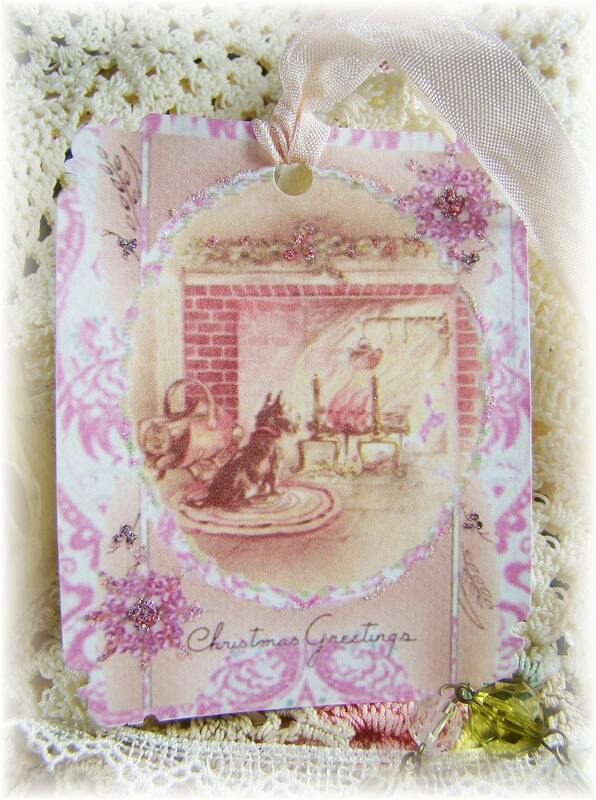 Sweet Pink Christmas Collage using Vintage Christmas Images. The centerpiece of course is the precious Christmas Puppy sitting in front of the fire all cozy and warm waiting for Christmas morning! . I’ve set this on a background of vintage pink retro wallpaper, added a little pink tinseled ornaments and Christmas Greetings! With highlights of hand applied pink and snow glitter. 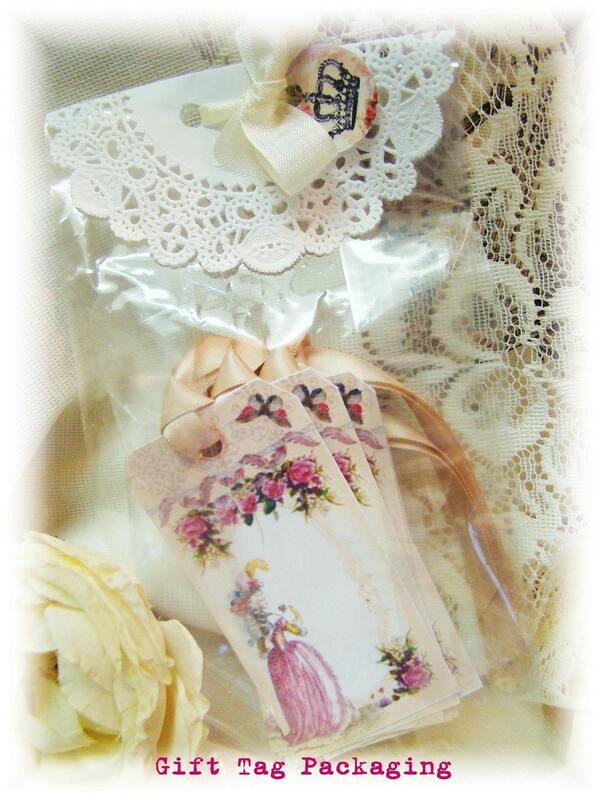 These would be wonderful gift tags, bookmarks, invitations, cards, ornaments, or used in your Christmas Décor. Set of 6 tags, each measures 3 ½ x 2 ¾ inches and are printed on heavy 110 card stock. Please feel free to contact me if you would like to request an order for a larger # of tags/cards, of if you would like to purchase without holes and ribbons. Each order will come packaged in a cellophane bag tied with a ribbon.